You are probably reading this blog post because you signed up to receive my weekly newsletter, or maybe you “liked” my page on Facebook. However, I only sent 5 “weekly” newsletters in the past year, and only added two new posts to my blog. It has actually been a very unique year for our family, and I thought some of the things I’ve learned might encourage you, too! A year ago, I wrote a long post about the miraculous healing God gave me! It was an amazing season! However, in January 2018, the flu went through several homes in our congregation. I was really sick for about six weeks, mostly with a terrible cough. I started to feel a little better, but in late February, I had a dream that I had lost my voice and that I was walking through hospital hallways, accompanied by some very close friends and hooked up to an IV pole. What a strange dream, I thought. 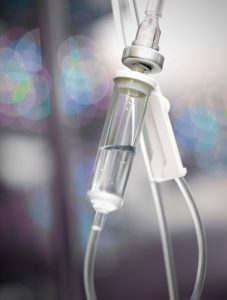 Who would ever get hooked up to IVs simply from losing her voice? I wondered what the dream meant, if anything, and simply wrote it down in my journal. The first of March, I caught a second round of the flu and lost my voice! It was only gone for a week or so, but then I lost it again shortly after. It came back again, but then I lost it again! This kept happening, and after Shavuot (the Feast of Pentecost) in late May, I lost it for a few weeks. It came back, now very weak, but in mid-July, I lost it again completely. This time it wouldn’t come back! I also got a bad case of food poisoning in April. The worst part was that my lymph glands in my neck swelled up, and for the rest of the summer, I had a lot of pain in my neck that even made it difficult to swallow. I asked Abba Father, “Why am I feeling so sick, especially since you healed me from Addison’s disease last fall?” It didn’t make any sense. There were so many things I thought He wanted me to do, but I was feeling more and more tired. I just couldn’t keep up with daily life any more. However, He had given me that dream in February, and I couldn’t stop thinking about it. He had told me ahead of time that I would lose my voice, and it seemed He was telling me not to be afraid but that He would be with me throughout this time. In August, He sent us some guidance from a wonderful doctor who found out that I was extremely anemic, with iron-deficiency, B-12 deficiency, and hemolytic anemia. He prescribed some helpful supplements and also suggested treatment with IVs. I about fell over when I heard his suggestion! However, within a few minutes of getting his recommendation, Abba Father kindly provided the money we needed for the treatments, to the dollar! I knew it was His confirmation that He was guiding us, and six weeks of IV treatments began. I am happy to report that my health has almost completely returned and that I can speak again. It is amazing how difficult it was to not be able to speak! During the worst of it, I was told not to say a single word for a week. Uh, I didn’t do so well at this! LOL! It was so frustrating to be in the same room with my husband and children but not be able to communicate. I even downloaded an app on my phone that would let me enter text that it would speak aloud for me. However, by the time I had typed up the text, my family had usually left the room! Even more so, the anemia caused me to lose any energy. I had difficulty keeping my eyes open, and my muscles complained if I just walked across the lawn. As I was losing my physical voice, I was also losing the stamina needed to sing, write, speak, or make videos. I was “losing my voice” in ministry as well! I was able to travel to Kansas City in June, and even though my voice was very weak at that time, I was able to meet with several women whom I had met online. I found that my inability to speak gave me more time to listen to their needs. It was so interesting! In the same way, my illness gave me more time to spend in the Word. Ahhh, that had happened before! When I had been diagnosed with Addison’s disease in 2006, my sickness provided a way for me to read through my entire Bible in less than 90 days, which forever changed my life. This summer, as I spent more time in the Word, He started to teach me how to listen to the Spirit’s voice. It has been a process, but I’m excited to share some of the things I’ve learned over the coming weeks and months. I also had more time with my family. We moved my desk into the dining-room area of our home this year, which put me right smack in the middle of where my younger children were playing. I could listen even better! My young adults started spending more time with me, talking for long hours (probably because I was nodding more and “getting on my soapbox” a little less). I studied the word “breath” in the Scriptures, only to discover that a woman walking in her own power, rather than by the power of the Spirit of God, was anemic. Anemia means “without blood” and results in low levels of oxygen in the bloodstream. Just as the life of the flesh is in the blood, the life of a believer is only sustained by the Ruach, the Spirit or “breath” of God, flowing through her veins. It felt like the Spirit of God was beginning to flow through my veins, to heal my heart and strengthen me during trials, just as the IV was healing my voice. This morning, I was reading my Bible and contemplating the new season we’re entering into. The fall biblical holidays of Yom Teruah (Feast of Trumpets), Yom Kippur (Day of Atonement), and Sukkot (Feast of Tabernacles) are over. Life is settling into a new routine — but as of this moment, everyone in our home is healthy! My voice has returned, and I am pondering what He wants me to say. I don’t want to speak a word without the Spirit of God speaking His Words through mine. “I will give you shepherds according to My heart, who will feed you with knowledge and understanding” (Jeremiah 3:14). My prayer is that during this next year, I will speak only words that will “shepherd” the people I’m ministering to, whether that is my own children or the families we reach out to online through our writing and speaking. I want to only shepherd according to YHVH’s heart, by allowing His “Breath” to fill me. 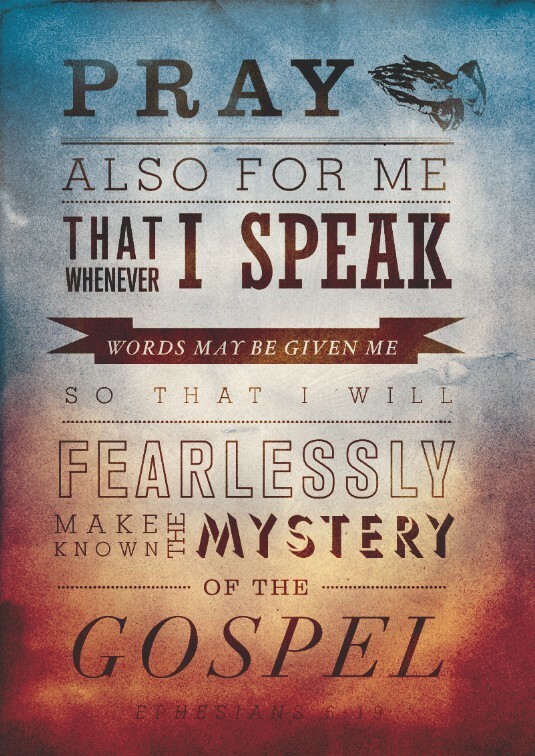 My prayer is that I would speak the Word fearlessly and make known the Gospel to everyone He brings across my path! My goal is to resume weekly blog posting, beginning by adding new topics on how to practically live out the Torah in our everyday lives. You can see a list of upcoming blog posts here. However, if you have a topic you wish I would write about, leave me a comment below! SO thankful to Abba for your healing… He is absolutely awe inspiring, isn’t He? 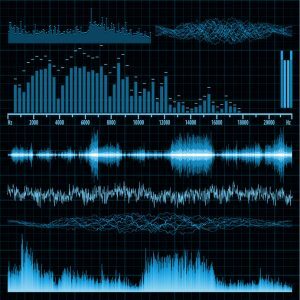 I’ve been there where my voice will be gone then come back and leave again, so I know how you feel it gets really madding when that happens.